When most people think of a monster, the first thing that comes to mind may be a vampire, werewolf, or some other creature that goes “bump” in the night. If you’re an eCommerce merchant, though, you might have a completely different answer: chargebacks. That fear is completely justified. After all, once you’ve processed the transaction, the bank authorized the sale, and you’ve shipped the merchandise, the transaction should be over. But long after you lay that sale to rest, a chargeback rises from the grave to drain the life out of your bank account. A customer who successfully files a chargeback is nine times more likely to file another one.When customers realize how easy it is to file a chargeback, they are incentivized to do it again. This is how legitimate customers can easily be turned into serial friendly fraudsters. 40% of customers who file a chargeback will file another one within 60 days.The more chargebacks your customers file, the more addictive the practice becomes. 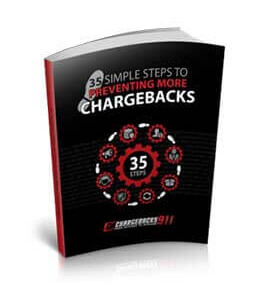 half of all people who file a chargeback will do it again by the 90-day mark. The average retailer lost $2.66 for each $1 of fraud in 2016.According to the latest LexisNexis “True Cost of Fraud” study, retailers lose a substantial amount to fraud through associated fees, lost merchandise, and other ancillary costs. The share of total business revenue lost to fraud increased 279% between 2013 and 2016.The average merchant lost 1.9% of total revenue to fraud in 2016. That makes the 0.68% lost in 2013 seem downright modest. 86% of all chargebacks are probable cases of friendly fraud.Despite merchants’ efforts at preventing criminal fraud, much of their losses are from friendly fraud: a practice which is difficult to identify and nearly impossible for merchants to prevent. Of the world’s 100 biggest eCommerce sites, 72 had three or more errors in checkout flows.We’ve identified merchant error as a primary contributor to chargebacks. Checkout errors can increase shopping cart abandonment, false declines, and chargebacks. Nearly half of large retailers do not use autofill correctly.Autofill can help drive conversion rates, but errors can cause shopping cart abandonment to skyrocket, as well as increase errors in checkout that will cause chargebacks. 60% of all credit card fraud attempts in eCommerce channels were successful in 2016.Widespread overreliance on a limited handful of tools, as opposed to embracing a multilayer fraud solution, gives the advantage in the situation to criminal fraudsters. The average merchant suffered 206 successful fraudulent transactions per month in 2016.Despite merchants’ best efforts, a good number of fraudsters still manage to squeeze through their defenses every day. For each successful criminal fraud attack, a chargeback will likely follow. 81% of customers admit to filing a chargeback out of convenience.Most customers can’t see any difference between a chargeback and a standard return. They either don’t know—or don’t care—about how a chargeback negatively impacts merchants. Merchants only hear from 4% of dissatisfied customers.Only 1 in 20 customers will call and complain if there is an issue with their order. The remaining 19 are at risk of filing a chargeback. Chargebacks increase 41% every two years. Our proprietary research shows a clear YoY increase in chargebacks. The issue will only get worse as the problem spreads to other markets like the EU, Japan, and China. The financial impact of chargebacks will reach close to $30 billion by 2020.At the current rate, the amount merchants lose in revenue, merchandise, shipping costs, and fees due to chargebacks could approach the $30 billion mark by the end of the decade. Fraud attacks peak between midnight and 6am, and there’s a very simple reason why. Ready to learn the blood-chilling truth about online fraud? Click below…if you dare. As these terrifying truths reveal, chargebacks are one of the greatest threats facing modern eCommerce. It’s also clear that chargebacks are not the product of some ancient curse, a plague, or alien invaders: most result from friendly fraud. Friendly fraud operates by flying under the radar disguised as a valid transaction. 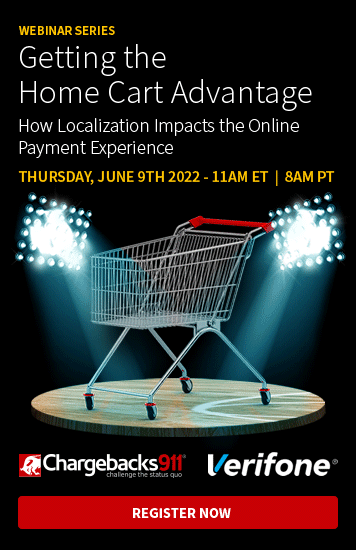 Then, long after the transaction is complete, the cardholder claims that the merchandise was not as described, that they never received the item, or any number of potential triggers, and demands a chargeback. You lose the revenue from the sale, the merchandise, and the cost of shipping. You get hit with an additional fee to cover chargeback administration. You face the prospect of being placed on the MATCH list and losing the ability to process cards, potentially dooming your business. But if friendly fraudsters operate by hiding behind seemingly valid transactions, how can anyone manage to identify it by source? With the help of an effective chargeback analyst. There are many simple actions you can take against merchant error and criminal fraud chargebacks, but let’s be honest: managing friendly fraud isn’t your job. You should be focused on growing your business. You want the industry’s top friendly fraud experts on your side if your business is going to make it through the night. That’s why you want Chargebacks911. Intelligent Source Detection, or ISD, is our award-winning solution to identify the truth behind each chargeback. Rather than relying on error-prone chargeback reason codes, ISD deploys a patented combination of machine learning and human forensic expertise to reveal the sources of chargebacks. With this powerful tool, you can deploy strategies more effectively, identify previously hidden revenue opportunities, reduce costs, and lower false positives. It’s no wonder that Intelligent Source Detection drives the highest chargeback dispute win rates in the industry. Once you find the source of friendly fraud, then you can fight back with Tactical Chargeback Representment. Our innovative approach to chargeback representment gives you the power to recover revenue, prevent second chargebacks, and allocate resources more effectively. 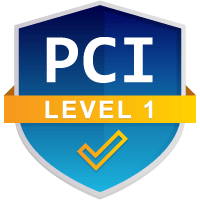 Even better, Chargebacks911’s representment services are backed by a 100% guaranteed ROI—never lose another dollar to friendly fraud! Don’t let chargebacks haunt your business. 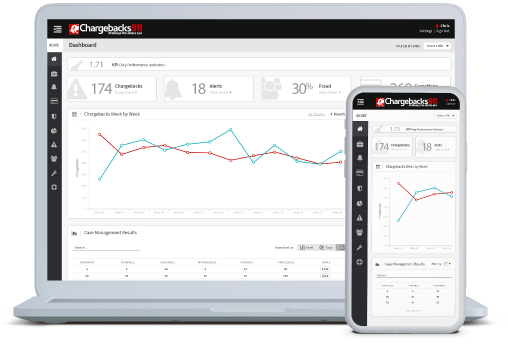 Call Chargebacks911 today to demand your free demo and discover how much you could be saving.